i've mentioned before that we live in an old 1930s house which still has most of its original parts, including the original hardwood floors. in a few areas of our home, we have area rugs to define spaces and to soften up the wooden floors. 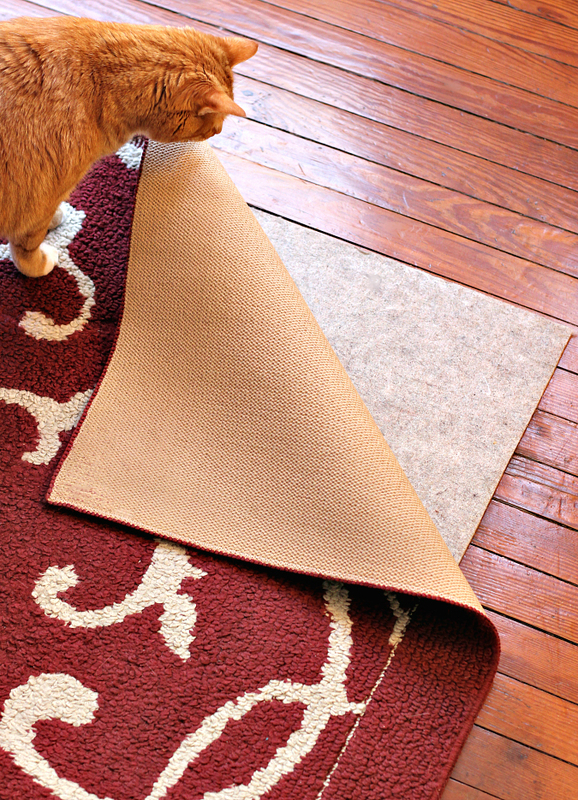 however, all of our rugs always seem to end up slipping and sliding out of place because we live with an energetic five-year old kitten who loves to zoom around the house at top speed, skidding out on our rugs as he is chasing a toy, a shadow, us, etc. so, it was perfect when rug pad usa reached out to us about rug pads. 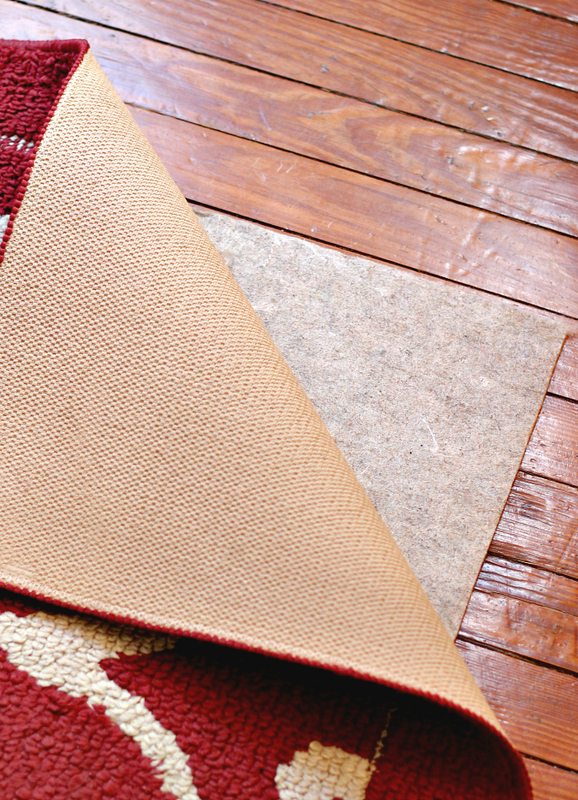 bringing a rug pad into our home from rug pad usa was a natural fit for us because rug pad usa specializes in eco-friendly rug pads. their products are more eco-friendly than traditional pvc and plastic padding products on the market which are often ridden with chemicals that can be toxic to you and your pets (and harmful to your floors too). 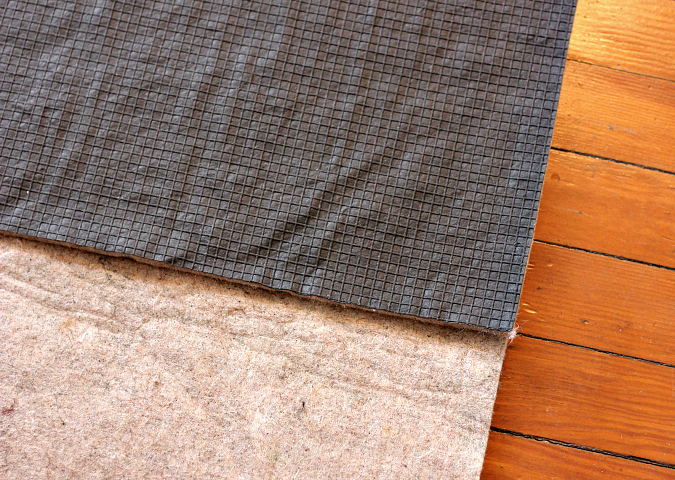 we love that rug pad usa offers sustainable alternatives to traditional rug pads with great grip and quality (and they are manufactured in georgia). 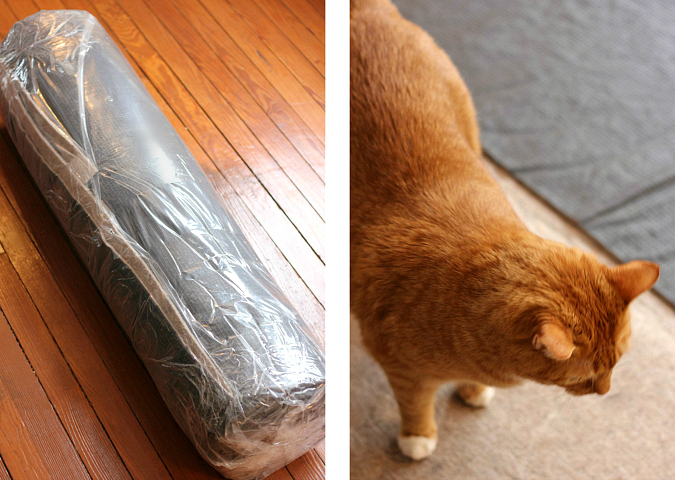 after sending rug pad usa the dimensions of our rug and a description of our floors, they helped us chose a rug pad that was best for us. we ended up with the superior lock 1/4 inch which provides the perfect solution for rugs that slip and slide on surfaces in high-traffic areas. the checkered natural rubber backing design of the superior lock allows for exceptional grip, while the recycled needle-punched felt provides a comfortable cushion. 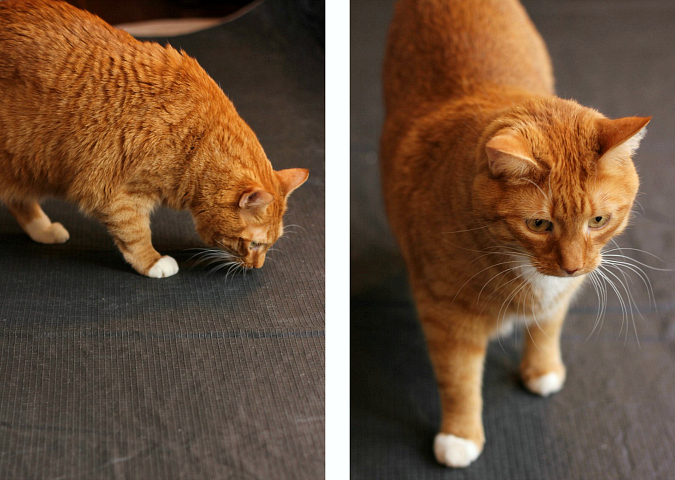 as soon as our rug pad arrived in the mail, we put it to the test. (really, i should say that leko put it to the test!) 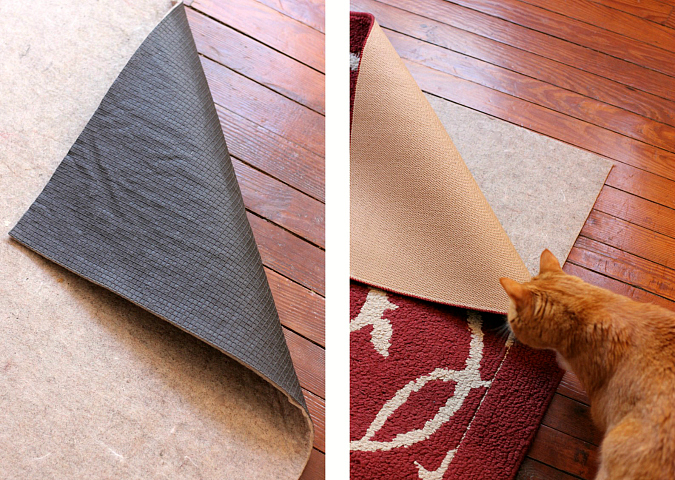 we love how thin this rug pad is and how it adds such a nice cushion. it passes the leko test and stays in place too! 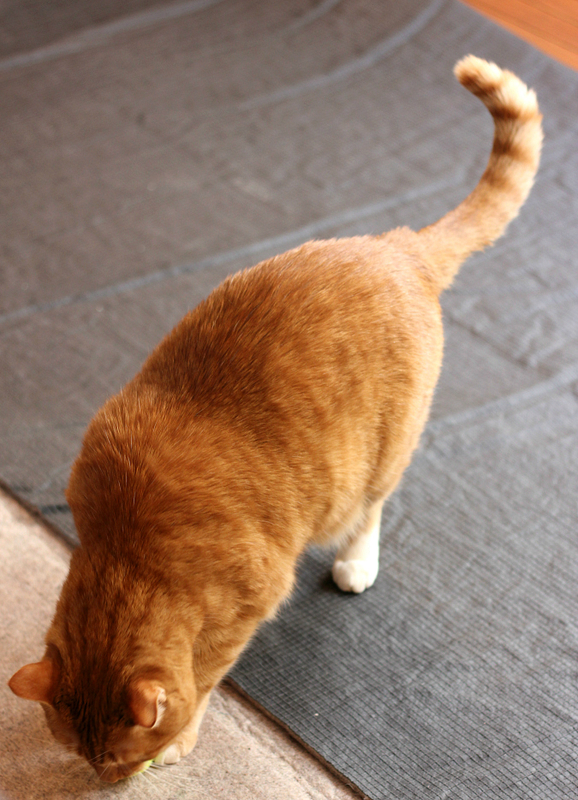 it's so nice to know that we have something under our rug that is safe for us, leko, and our floors. I see that Leko served as the chief inspector and seemed to approve of your rug pad. It is certainly refreshing to find that there is a product still made in this country! Well what did Leko think if he won't be able to slide the rug. Can not take his fun away.